Van Vleck ISD is closed on Friday, August 25, 2017 and will be closed on Monday, August 28, 2017. All extra-curricular activities are cancelled until school resumes. Due to the severity of Hurricane Harvey and the mandatory evacuation of Matagorda County a decision has been made to delay the start of school for the safety of our students, parents, and staff members. A decision on school starting on Tuesday, August 29th will be made before or on Monday, August 28th. 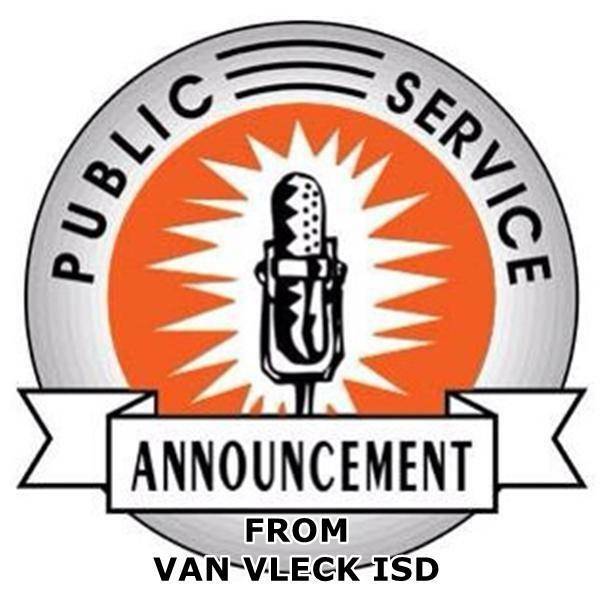 Van Vleck ISD will immediately release this PSA on the school website, social media, School Messenger phone alert system, and Happy Radio 92.5 FM.